Don’t expect anything different to happen when a copyright expires, and the piece of intellectual property loses its copyright protection. There is no uniformity in each territory’s copyright length. So it might expire in one place but not another. Here’s a graphic to explain the law in the United States. Expiration dates vary by country. Signing an international agreement to respect copyright has led to country-by-country decisions about the length they allow. So doing your own research is important to ascertain if an intellectual property is protected by copyright. 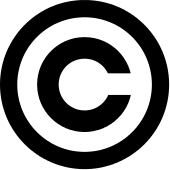 Copyright laws were designed so copyrights have always been protected for a finite amount of time, so, what happens when they expire? The answer is nothing. There isn’t any form of notification or communication, so if you do your own research and ascertain the copyright has expired, you can use the previously copyright-protected material. This allows others to exploit old ideas with no copyright fees or restrictions, so there is an incentive to continue exploiting intellectual properties that are of merit to someone in the present day. So the object of copyright protection belongs to whomever uses it. The rule of thumb was anything covered by copyright over 95 years old is available to anyone. When copyrights expire, the works they protected then belong to the people. Ergo these intellectual properties become public domain, and become available for use.